Honestly, I feel like around this time of the year I end up being busier than I am throughout any other time of the year and it just causes me to not have enough time to do things for myself lol. We have finally been bombarded with snow so now it REALLY is starting to feel like winter here. Anyway, today I'll be sharing my WNAC 2017 Day 8 - Gingerbread Man prompt. Keep reading for more! I feel like there were so many different variations that I could have done for this mani but I really just wanted to do them on a simple white background. 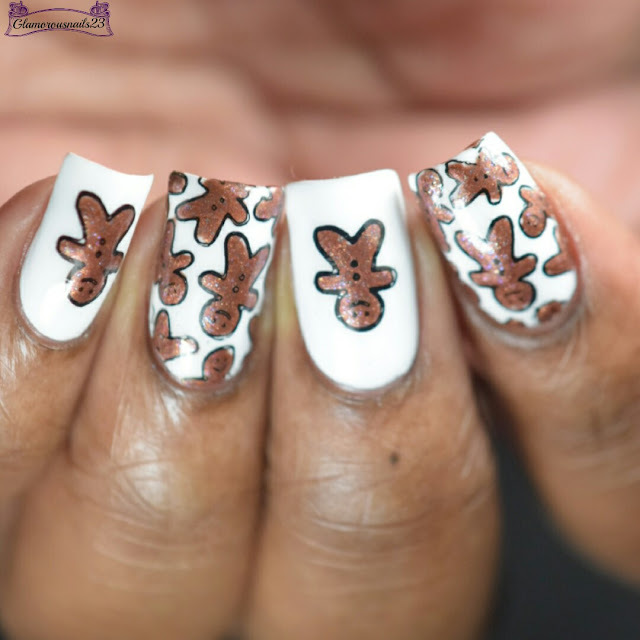 Initially, I was going go in with a chocolate brown background and do some white stamping but I had a sudden change of mine and went in with some reverse stamping! 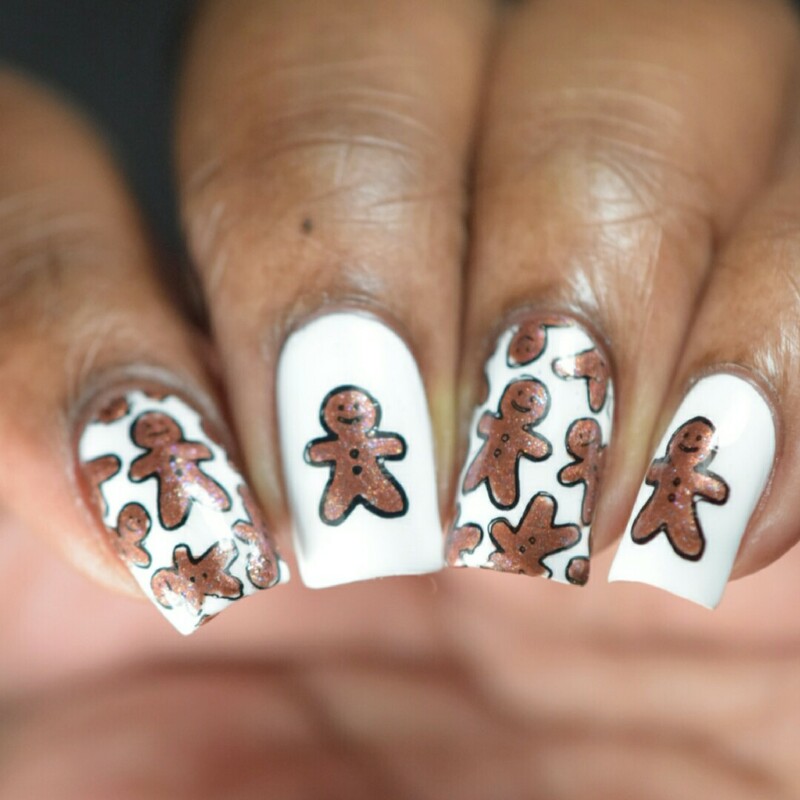 Filling in the gingerbread men was a bit tedious but the final result was just worth it! 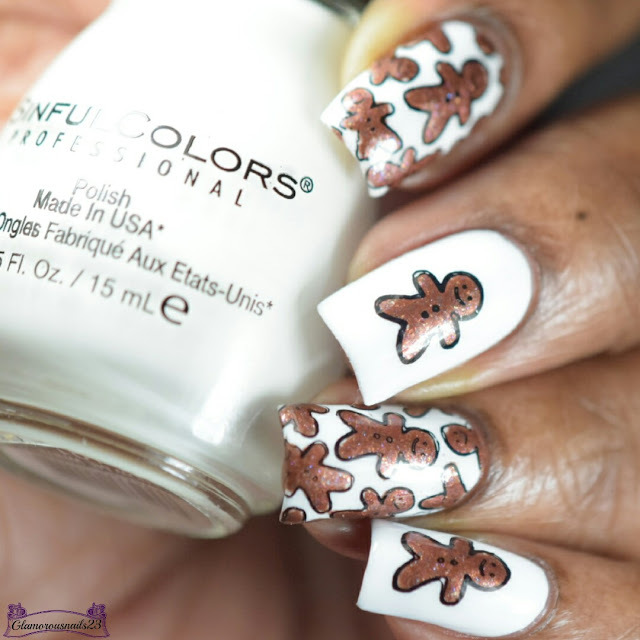 Cutest gingerbread men ever! Now I want a cookie! 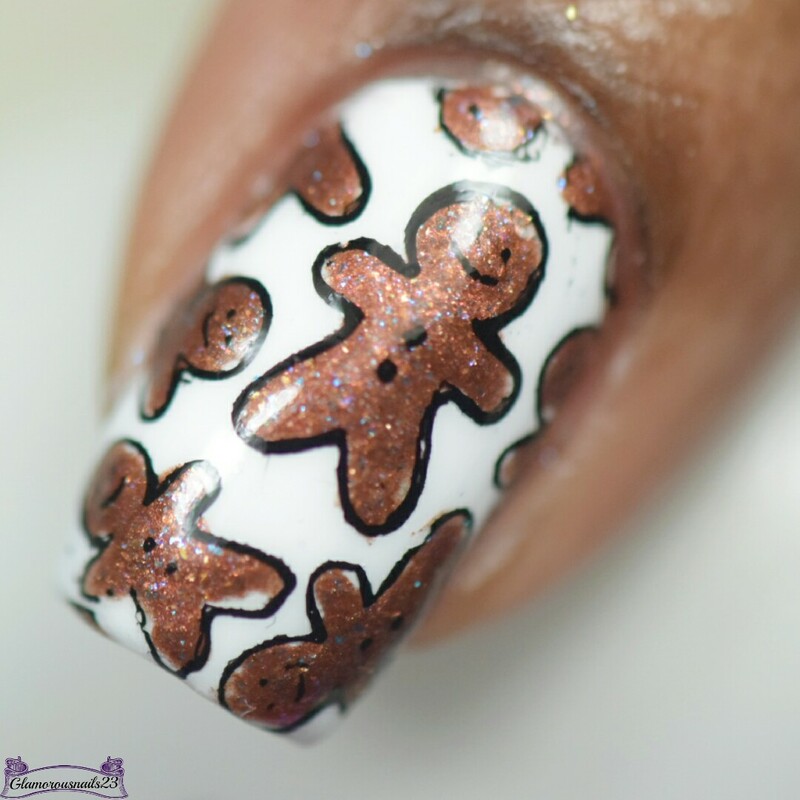 Your gingerbread men are sooooo cute! I love the color you used for them. Yes! And as boring as it can be we still do it! Lol. Thanks! Awe thanks! I hope you got your cookie!